The Fam Trip, hosted in conjunction with Puerto Vallarta and organized by wholesaler Vidatur (based in the capital of this South American country). 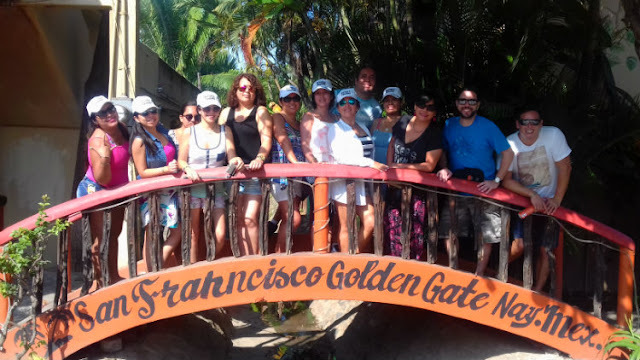 A group of 12 travel agents from different regions in Peru visited Mexico’s Pacific Treasure from June 29 – July 1, 2017, to experience the Riviera Nayarit’s attractions firsthand and sell it all to their clients back home. The Fam Trip, hosted in conjunction with Puerto Vallarta and organized by wholesaler Vidatur (based in the capital of this South American country) was also aided by special rates offered by Aeroméxico. The group of agents took part in several different activities, among them onsite visits to various hotels in Nuevo Vallarta, Costa Banderas, Flamingos and Litibú. Special mention goes out to a tour of the Islas Marietas National Park, which impressed the visitors with its spectacular beauty. Of note is the personalized attention offered to the visitors by the Riviera Nayarit CVB during their tour through the traditional towns of San Francisco and Sayulita, two locations that charmed the agents with their originality and peacefulness. Carmen Flores, from Viajes Cielo Azul in Lima; Miguel Portugal, Judith Asencios and Lourdes Toledo, from Vidatur in Lima and Trujillo; Carolyn Moreno, from Viaja Perú Tours in Trujillo; Graciela Mendocilla, from Viajes Graciela; María Cecilia Kong, from First Class in Lima; Karla Becerra, from Viajes Escápate in Trujillo; and Gustavo Martini, from GM Travel in Chiclayo, were among the travel agents fortunate enough to enjoy first hand the Riviera Nayarit’s natural beauty, its luxurious hotel infrastructure and the magic of its traditional villages. After three days of wonderful experiences, the group flew back to Mexico City via Aeroméxico on July 1st, where they made their connection for their flight back to Lima; all promised to sell the region to their clientele as much as possible. Vidatur is a travel wholesaler with offices in Lima, Arequipa and Trujillo, in Peru. It was founded by Miguel Portugal, and has been the travel agencies’ best ally since 1999; the company offers travel opportunities to the Caribbean, South America, the United States and Europe.